Want to trim your small garden or tree? Then using hedge shears is what you need. 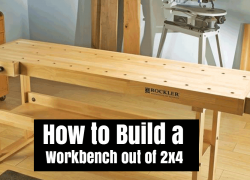 Admittedly, this tool is one of the handiest and easiest to use you will find on the market. They are also incredibly reliable & long-lasting as well. But picking the right one is not as easy as many people think. Unless you are an experienced gardener, knowing what the best hedge shears can offer is extremely important to pick the right one eventually. Here, we go over several of these tools to give you a valuable and helpful idea of what you need to go for when it comes to choosing one hedge shears. Come and find out! Hedge shears have the whole purpose of increasing your reach while cutting hedges and shrubs of your garden grass or plants. 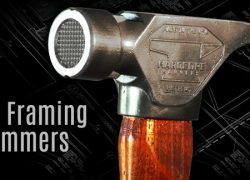 Many people say it is the perfect gardening tool for trimming or pruning, as the performance & precision they provide is simply unmatched. They usually are between 15 and 40 inches long with a blade design that can be serrated or straight. The handles are also very long and comfortable to use, making the device look almost precisely like a scissor. With this tool you can cut your plants more effectively, maintain a better shape, and minimize fatigue while doing so. 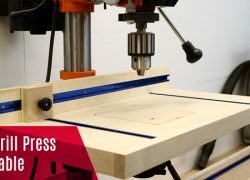 Especially for their reach and overall cut efficiency, by using both hands, you can improve your complete cutting effectiveness. As you know, hedge shears are not as standard as other gardening tools, and they may come in various models, shapes, and sizes. Here, we go over a few of the best edge shears to give you an idea of what most of them can offer. Take a look further and learn more! Premium construction and superb results – the Okatsune is a Japanese steel shear that will surely provide the perfect performance demanding-users look for. Trimming your plants is the easiest thing with the Okatsune Precision shears. Feeling the smoothness of its operation and highly comfortable design, you get a product that won’t let you down if you are a high-standard person. Wherever or whatever you are pruning, this shears will provide the most precise cuts with outstanding precision. You won’t have chewed leaves or sticks, just a perfectly trimmed plant or grass – without unleveled or amorphous cuts. All of this is done with the ideal metal construction using Izumo Yasuki Steel. This steel is the one used on the highest-quality Japanese swords. Adding perfect sharpness to the shears, augmenting cutting power and delivering much better results even after years of use – that’s what you’ll get with this one. With a 7 5/8 inches blade and a total of 22-inches – the hedge shears from Okatsure is the right choice for any professional or experienced gardener. Weighing only 800g or 1.8lbs – it will also promote ease of use and total comfort at all times. If you want a product that delivers – the Okatsune Precision Shears can be the option you should go for. 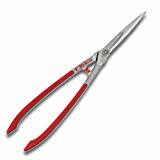 If you are an enthusiast of metallic shears, the Tabor B640 may come like a gem for you. A perfect device with the ideal design to provide an exceptional trimming result. Boasting an excellent aluminum construction, this tool will quickly become a dependable and handy cutting machine. With a sharp blade and wavy touch, your cuts will easily shape any grass or plant with just one cut. And with its curved design, even twigs will be a total piece of cake to shave off. But one of the aspects that sets this shear apart is the ability to minimize the impact when cutting & trimming continually. Having shock-absorbing bumpers allows the user to reduce vibrations to harm their results and prevent common arm problems. In addition to all that, this shears comes with a convenient adjustable tension feature which helps to get less or more cutting power accordingly. Just switch the pivot bolt according to your needs, and use the desired tension to keep the device working as you need it to. Overall, this is a tool that will quickly provide the most balanced and dependable performance out there. With aluminum handles and carbon steel blades – you’ll get both comfort & excellent results without problems. Gilmour is an excellent brand that always delivers products of basic-entry quality – yet these products always last what any premium option would. The Basic Head Shears is not an exception. Anything related to the garden, Gilmour will surely come with a product that is worth having. If you are not a demanding user who expects exceptional performance, and just wants a reliable & affordable product – then this option is what you should go for. It’s all about the most dependable construction out there with coated blades at eight inches, a hardened top edge, and serrated with the notched bottom design. Add the strong and comfortable oval handles made of aluminum, and you get a product that will never let you down. Getting a problem with these while trimming is the rarest thing you can think of. They are so well-made and reliable that even after years of use – they will still cut & perform as if they were made the day before. 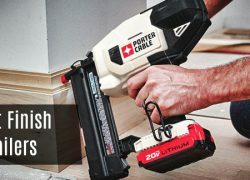 When you add the shock-absorbing bumpers and 21-inches long design – this tool inevitably comes like the right option for many. Not a premium choice, but undoubtedly one of the most dependable and results-oriented shears out there. 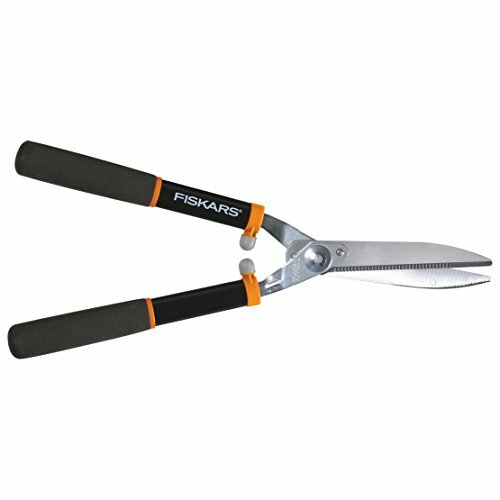 As a Winner of the Arthritis Foundation Ease-Of-Use Commendation, the Fiskars Powergear hedge shears deliver a comfortable & stress-free operation. Pain after trimming is a thing of the past with this product. The PowerGear mechanism is one of the smoothest and most reliable in the market. Not only it provides a faster and pain-free result, but it also helps to get a stronger grip with better cutting power. In short, the mechanism will make your cutting experience three times easier than any other shears. 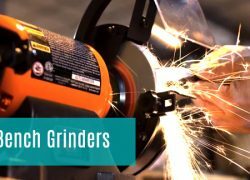 Add the precision-ground blades with low-friction & rust-resistant coating, and you get a product that is, easy to use, reliable, and incredibly long-lasting. This makes it the ideal shears for trimming & shaping even the thinnest or hardest bushes out there. What’s more, the tough DuraFrame handles made of Nyglass increase overall strength of the tool while delivering a light build. Using it means getting the most outstanding results without harming your hands in any way. If you are someone who has arthritis or gets cramps while trimming, this shear will come like a gem for you. The perfect choice for a faster, more resistant, more reliable, and better cutting performance with the ideal comfort everyone needs. When a professional looks for a product, he wants the most durable, reliable, and efficient one. Also, they look for one that provides the most precise & powerful performance. The ARS HS-KR1000 is all that and more. 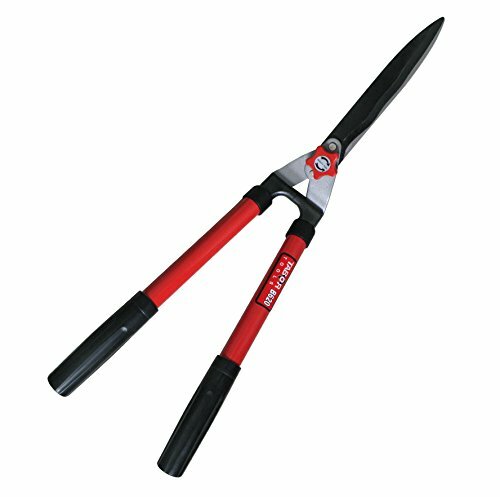 With a top-notch steel treatment on the blade, this shears will easily cut even the hardest & most difficult of plants or twigs without problems. The sharpness is excellent for durability, giving the perfect effect even after years of use with little maintenance. Then you have the blade shape, which is straight and slightly longer than most, yet incredibly easy to use. Especially when it comes to balance, you won’t have a problem using this one. As it focuses on providing a more precise cut every time without drawbacks. If any of the blades, however, needs replacement because it breaks or loses its sharpness completely – then you can do it quickly and straightforwardly. But the professional quality of this one is so reliable, that even after years of use – you won’t have to change anything. 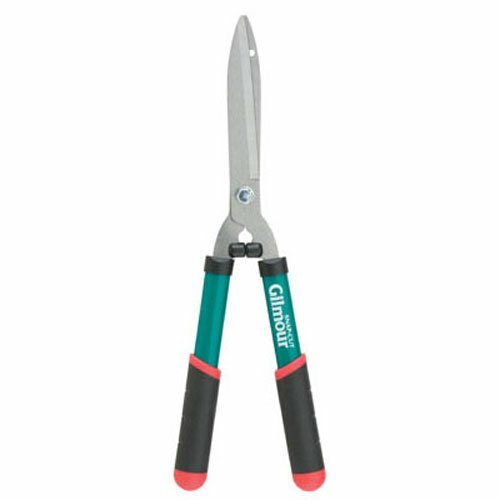 These shears are all about providing a balanced, comfortable, and outstandingly effective cut even with the hardest of plants. And of course, these cuts and overall performance will last a lifetime, even with daily use. Excellent craftsmanship for a very affordable cost, the Corona HS-3950 shears are one of the most reliable yet effective options in the list. With one of these, you will get a product that works for a long time & with the quality of a more expensive one. With this shears, you get the ability to enjoy a lighter tool to trim your plants, comfortably and without having to miss on your goals. Even though the entire shears has an extendable design which allows the user to use 15 up to 26 inches long tool – it will always provide excellent balance. Thanks to the whole steel construction, the grip-oriented handles provide the perfect comfort to increase handling and reduce stress on your hands. Apart from that, the handles come with ShockStop bumpers, reducing the impact while using thus avoiding arm and shoulder fatigue. The cutting performance, on the other hand, is improved by two things: the 8.5-inches carbon steel blades and the precision-made pivot. These blades will provide more durability and sharpness, delivering a much better cutting strength. And thanks to the pivot, the cutting mechanism is faster, smoother, and much more reliable in the long term. If you are someone who enjoys a straightforward, reliable and highly effective tool – then these extendable shears will come like a gem for you. They are also highly convenient and offer the comfort most options do not. Comfortable, easy to use, and incredibly precise – the Woostar Power-Lever extendable hedge shears is an option you shouldn’t dismiss. Boasting a telescopic handle design with extendable features provide the most convenient performance for any user. You will be able to reach far-away & harder spots without problems while getting top-notch cutting performance. Capable of going from 24 to 31 inches long in a matter of seconds, the device is outstandingly convenient. Add the fantastic shock-absorbing system with excellent light design, and you get clippers that reduce vibrations while helping you to get to the most challenging places of your plants effortlessly. In its performance, the most critical part is the hardened steel build. 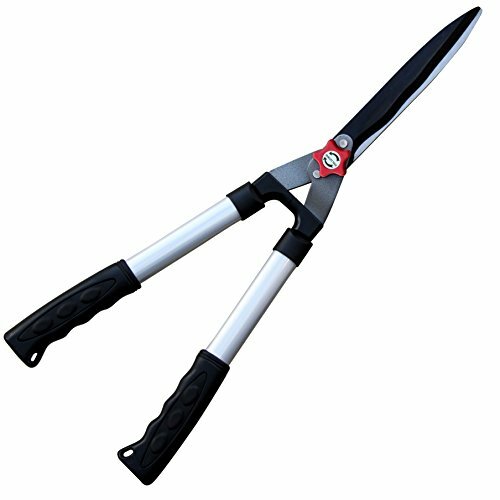 Despite being highly affordable shears, you won’t have a problem cutting & trimming your plants even if they are really tough. Each cut will be precise, smooth, and won’t leave any shredded or mashed finish in your plants. Another thing that makes it even more useful than other options out there is the effective & strong blade design. Even for users who tend to have problems cutting continuously, this tool will undoubtedly reduce their fatigue, improve cutting speed, and also prevent typical issues. And the cuts will still be the most precise and balanced out there. One of the things that makes Fiskars a brand that offers the most reliable products in the market is that most of them, like this one, provide a superb construction for an affordable cost. The rust-resistant coating of the blades & low-friction feature promotes more resistant and durable shears. Add the shock-absorbing bumpers and top-notch steel handles, and cutting won’t be a problem anymore. But the comfort, durability & resistance of the device is not only what makes it so useful. Featuring the Power-Lever design, this clipper can add more leverage when cutting, so your performance gets stronger, and your precision increases exponentially. The same happens when it comes to reach and overall comfort, thanks to the extendable design & highly ergonomic handles – using is not a problem anymore. Even if it means cutting the hardest of bushes or plants, this tool does it effectively and entirely effortless. And of course, all of that wouldn’t be a thing without the outstanding precision-ground steel build of the blades with the self-sharpening design. Boasting an excellent serrated design for more cutting grip & 10-inch length – they are incredibly useful. Even the smallest or thinnest twigs will be cut entirely, with exceptionally smooth and crisp results. Finally, it is vital to indicate that the extendable design goes from 24 3/8 up to 31 inches without problems. When you consider the multiple-point pivot design for a softer yet stronger mechanism, it is not a secret why this device is one of the best options out there. All Tabor tools are amazing in almost every way, from their highly durable constructions to their ergonomic designs and overall performance. The B212, however, is much more than that. Among the best hedge hears in middle-range price, the B212 from Tabor provide an outstandingly comfortable design with fatigue-free features. 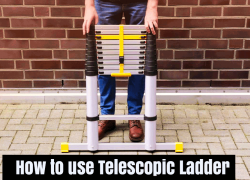 The telescopic handles with extendable function can go from 25 to 33-inches, helping you reach far-away points. And when you add the bumpers, you get astonishing shock absorption to prevent stress on your arms and shoulders. The grips are entirely ergonomic with the grip-oriented design. With the steel handle build – the device becomes light & easy to use at the same time. This way you get a product that delivers what it is meant to give, without harming your performance & providing the utmost comfort. But all that is useless if the shears misses an effective blade. Of course, the case is the other way around. With a sharp, wavy, and reliable design – the steel blades can cut even the thinnest of twigs without problems. 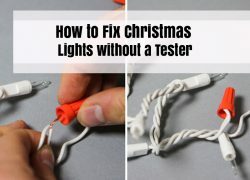 It will also help to get more durability and avoid branches from slipping off the tool. The cutting performance is even better than that. Including an adjustable blade tension pivot bold – you can get as much strength as you want for each cut. By twisting the bolt, the device can cut even the hardest of branches without problems. You can rely on these shears at all times; they won’t ever disappoint you. Maybe the smallest hedge shears in the whole list, but an incredibly effective & performance-oriented option for demanding users. And of course – it comes at a fantastic price. The most important thing to mention about the Fiskars 9191 is the Power-Lever design. This means the device can leverage cutting strength, getting up to two times more tension than other shears mechanisms, cutting even the sturdiest of plants. This design along the fully hardened blades makes it even more effective and precise for cutting. You won’t have to fear about anything from unleveled cuts or imprecise trimming. And of course, the blades are incredibly reliable & durable, with chrome coating that not many edges come with. The 9191 Power-Level hedge shears are an option you should not miss, not only because it is secure and incredibly reliable – but because they are also convenient & comfortable entirely. Its cushioned grips with steel handles won’t be a problem to use either. Add the shock-absorbing bumpers, and you get the most comfortable handles out there. Whether it is cutting shrubs, tops, bottoms or hedges – this option will surely provide the performance you need. Even when having a small 8-inches blade design, you won’t have anything to worry about. Its Gator-Blade design with serrated edges keeps the device working more effectively too. 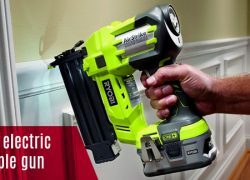 So if you long for a product that delivers the ideal cutting action with no drawbacks, this is the right option for you. Why Do You Need Hedge Shears? Actually, you don’t need hedge shears for your gardening activities. You can get by with similar products or with other trimming devices. But none of these tools or methods is as affordable, easy-to-use, and fatigues as hedge shears. If you want a product that helps you reduce all the shrubs from your plants and make them look neat – then what you need is hedge shears. They are probably the most effective cutting tool when it comes to maintaining a hedge in your plants, and they can be used practically anywhere; thanks to their reach and ease of use. 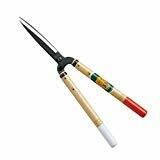 For any other purpose such as giving form to larger or smaller plants, or merely cutting more twigs and branches than leaves – you can use other tools or devices. Otherwise, stick to hedge shears and receive the best results. Straight blades are better for cutting leaves and softer plants. You will get the best results using a straight edge if you cut grass or shrubs. Thanks to their cleaner and crisper performance, consecutive blades are the most common type. Sometimes, however, they can be pretty frustrating to use.When cutting twigs, for example, straight blades may slip off and create disasters. That’s why the next type exists. When it comes to cutting harder plants that may occur with sturdy twigs or branches, a serrated blade design is always better. This allows you to avoid pieces slipping off the blade and cutting them more effectively. You prevent disasters and badly-cut twigs or bushes. Frequently, serrated blades come with more tension and provide better cutting power. This is all due to their capacity and design oriented for harder pieces. Both of these types of blades may come with angled shears or telescopic ones. This means they can be for a specific purpose. Angled shears come with a 90º design that allows them to cut grass and floor-level stuff. On the other hand, telescopic ones are straighter and much more comfortable to use for taller & long-reach plants. Handles can come in multiple designs and builds. But the whole idea is to choose something that not only fits your needs, but feels comfortable when using as well. We recommend going for ergonomic handles with cushioned grips if possible. If you don’t find any, go for anything that comes with highly comfortable designs that are easy to hold. This way, you reduce the stress on your hand muscles and promote a much more balanced & precise cutting. The best materials for handles are steel, aluminum and DuraFrame (Nyglass). 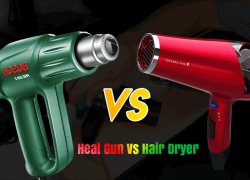 With any of these, you can obtain superb results and better comfort when using. And they are also the lightest available. Bumpers are those parts of handles that reduce the impact shock when cutting. As you know, hedge shears work just like scissors, so every time you close and open to cut, the handles hit each other. In the long run, the vibration from this impact may damage your wrists, elbows, underarms and even shoulders. So we recommend always going for shears that come with shock-absorbing bumpers to avoid further problems when using and after using. The blades come in two designs, straight and serrated as mentioned before. One is for straighter cuts and the other for better strength. But the design is merely one part of what you should consider when picking the right product. Another critical part is the material. From carbon steel to pure steel, and aluminum – the material is an excellent part of blades. The right material can change your experience entirely. Even more so when it comes with a perfect coating that improves durability, resistance and sometimes performance. Among the best coatings for hedge shears blades, you can find chrome, non-stick, rust-resistant, and low-friction coatings. 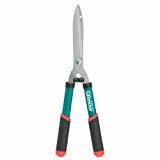 As you know, all shears come with a mechanism that lets them open and close effectively to cut and trim plants. Without this mechanism, the device wouldn’t work and probably even deliver choppy performance. However, all mechanisms are entirely different. Some come with five pivots, other with four, and a few with three or less. If you want the right product, we recommend flower-shaped or five-pivot bolts for better results. They offer the ability to adjust the tension & strength of the mechanism, so you can get the desired performance when needed. You may get intense trimming or a smoother one. Whatever the purpose, with the right tension bolts you can achieve a better result. When you take a look at shears, you find the shape is exactly like scissors but larger. And that’s precisely what you need to consider when using them. They come in different designs, just as scissors, provide different lengths as well, and come with stronger or weaker mechanisms. Usually, hedge shears are useful to cut perennials, get a specific pattern, or eventually hedge & prune shrubs. These three situations are the most common when using hedge shears, and the only uses you should give them. Maybe the best use you can give to a hedge shear. It’s all about giving form to overgrowth plants that don’t look good. With hedge shears, you can adequately cover more space and cut in straight lines, helping you deliver the shape needed and reducing uneven cuts. But this is only possible with straight blades and long designs. With a serrated edge, you may eventually create natural, uneven looking hedges that won’t fit this operation. All perennial plants need constant cutting to mitigate uneven and dead leaves or parts. You may need to cut from their bottom to the top, and this is better done with a large straight shear. But as long as the perennial is just leaves & skinny twigs, you won’t have a problem. Otherwise, you may need another type of tool to cut. Hedge shears are also handy for ornamental grasses, where you need to be more precise and balanced cutting when compared to perennial plants. With very wooden or branch-rich plants, however, you may eventually feel more comfortable with serrated blades, as long as you don’t need too much precision. Some plants are large and growing too much yearly that it is necessary to do a preventive cut of its flower & leave excess now and then. These plants are often softer than others, the twigs usually are much easier to cut, and you eventually don’t need much precision but just simple trimming. Here you can also use hedge shears effectively, straight or serrated depending on how thick the twigs are. As you will be cutting the flowers and leaves from their branches, you may sometimes need a stronger tool. Remember, shears are mostly useful for non-wooden parts of the plant or tree. Yet with the right design, you can cut through the thinnest twigs without problems. We recommend sticking to the previous operations to avoid breaking the tool or creating rough cuts. Wear long-sleeved shirts, gauntlets or gloves, eye protection, and long pants: reduce the probability of cutting yourself or getting uncomfortable debris in your body. Always use the trimmer below your chest: jumping twigs and leaves are common and could head towards your eyes, mouth or ears. Try to grab the shears as comfortable and firmly as possible. Don’t use them if you can’t hold the weight of the tool. Try to work as slowly as possible and according to your level of experience. When wrist, arms, elbows or shoulders feel tired, rest to avoid overworking and possible damages your body. Always use the trimmer outwards – never towards your body but as far away from yourself as possible without feeling uncomfortable. Avoid using shears when it’s raining or when the tool is moist. Drip water on the tool or soak it in water to remove surface dirt, debris or soil. Then manually get all the twigs, leaves, or waste from the plants and remove them. You can use a putty knife or gloves if you want to get your hands dirty. Avoid steel wool or sandpaper for this. Now grab a metallic sponge or tough plastic one to clean the tool more effectively. You can use a solvent to reduce the contaminants on the device and leave a better finish. Start with the handles first, then go to the blades. Make sure not to damage the edge of the blades by doing it slowly. Clean carefully and don’t cut yourself in the process. Finally, dry the blades and the handles. Use a soft cloth or paper towel. Rinse any metallic protector or finish into the tool and leave it to dry outside or in its place. This will eventually reduce rust & stuck mechanism by eliminating moist and dirt that could harm the device. The better your tool is maintained after using, the longer it will last.. Grab the dull or rusted shears and find whether the bolt can be disarmed. If so, disassemble the tool to sharpen it more comfortably. Otherwise, keep doing it as you would typically do. 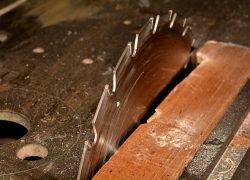 If the blades have too much rust, you should start by eliminating first. Use sandpaper or metallic wool/sponge to do it. Make sure not to use any of those on edge, instead of on the dull parts to avoid damaging the blades. After eliminating the rust, you need to use a saw filer to clean the edges from rust and add more sharpness. Do it slowly and softly, following the shape of the edge. After all the rust is gone, and the edge is appearing once again, you can start using a sharpening tool such as a stone or blade filer. Make sure to give the edge the right form according to each side so that the shears can work effectively together. You can finish by adding some all-in-one oil to the blades and softly spreading it with a paper towel or soft cloth. This will avoid rust and keep the sharpness on the edges for longer. Q: What Length Of Shears Should I Go For? A: The right length of shears may differ depending on many things such as desired application, the strength of the user, and comfort. Frequently, we recommend using the longest shears you can, as long as you feel comfortable with it. Q: Are There Common Problems With Shears I Should Know About? A: Even though the right shears may never give you problems, it is typical to have shears that get sticky, that have dull edges, that loose up, or that make weird noises when using. For these problems, doing maintenance, adjusting tension and sharpening the tool should be enough. Q: Does The Weight Of The Device Matter When Using? A: Totally, as with any other product out there. If you don’t have hedge shears that fit correctly in your hands and you find them hard to use, they may become frustrating. We recommend choosing a light tool with aluminum handles for a lighter design. Q: Do I Need To Adjust The Tension Of The Shears Before Using? A: Normally, you don’t. But sometimes shears may lose the tension when they rest without using for weeks or months in your stands. You may need to adjust the pressure (augment it more likely) to avoid cutting or trimming wrongly. Q: How Do I Know The Shears Have The Right Tension? A: You have the right tension when you can cut or trim precisely as you expect it. When the tool cuts more than you want or does not cut as effectively, it means it has the wrong tension. Adjust it accordingly and make it work according to your needs. Surely, after reading all this information above, you are overwhelmed and maybe slightly confused on what to go for. But don’t worry, it all comes down to picking the right one for you – and you can only do that when you take enough time to think. If you want the best hedge shears on your gardening tools box – we recommend taking your time thinking, possibly re-reading the guide, and following each one of our recommendations. 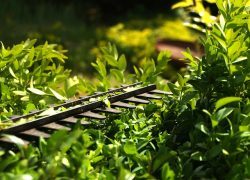 This will help you find the perfect hedge shears you need for the ideal gardening experience!